Grandview has 19 stalls, of which typically around 15 are available for clients. Due to space restrictions, Ashley only accepts horses in full training. Full training is based on a 4 day/week schooling schedule, allowing time each week for clients to either work on their own, or give them an opportunity to enjoy the over 300 accessible acres of private trails. The facility generally operates at maximum capacity, but we still encourage you to come and see the farm, meet Ashley, some of the staff, clients and horses if you are interested in trying to secure a stall. Ashley and Grandview are careful to ensure that the farm is the right fit for the prospective new client, and that the client is a good fit for them. Grandview and Ashley are proud of the supportive, team-oriented environment of the farm, its sense of community, and the work hard, play hard mentality that is maintained by all of Grandview's staff and clients. To set up a time to come out, please contact Ashley via email or call the farm directly. Although frequently approached as venue for events, Grandview is dedicated to remaining focused on servicing our family of horses and people. With that vision, we made a conscious decision many years ago to keep the farm very private and keep the number of outside events hosted to a minimum. 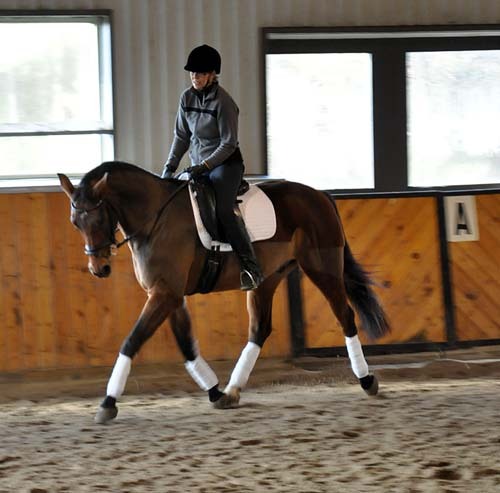 Ashley does organize a limited number of clinics with European trainers, and although priority for spots in these clinics go to Grandview clients, there are a limited number available to outside riders. Ashley is very excited to have the opportunity to train closely under the guidance of Hartwig Burfeind , winner of the 2009 and 2010 German Professional Championships. 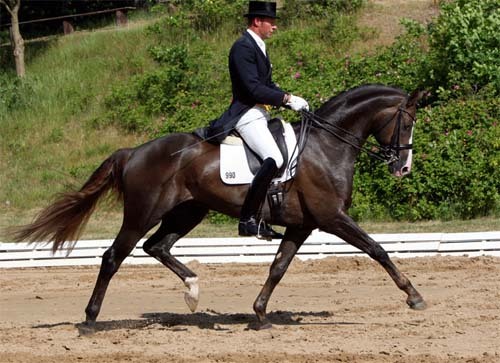 He was recently ranked 2nd overall in the FEI German Rider Rankings, right behind one of the world's most famous and successful riders, Isabell Werth, and ahead of such riders as Hubertus Schmidt, Heike Kemmer, Ulla Salzgeber, Monica Theordorescu and Ellen Schulten-Baumer. He is one of Europe's most respected trainers, riders and competitors and understandably so with his kind, sensitive, patient and extraordinarily successful system.